Before I became a runner, I fell into the same mental traps that most women (and even many men) experience. I compared what my body looked like in the mirror to what I saw in magazines or at the beach and focused on my perceived imperfections. I focused on the shape of my body and was never satisfied with what I saw. As I started running, I found myself instead focusing on how running had started to feel easy or how every week I was running longer and longer distances. Although I’m sure I did lose a little body fat since I was eating better and exercising more, my focus ceased to be on what my body looked like and instead I began to think more about what my body was capable of. 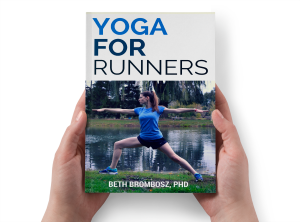 The more I ran, the more I saw my body as a highly oiled machine that was really great at endurance running and carrying me through my yoga classes. I began to see more muscle definition, and although I was proud of how strong I looked, I began to put more attention on my abilities and how my body felt. I finished longer races, running felt easier, and I could hold new yoga poses that I wasn’t able to do before. I had more energy, and although I still got stressed out, my overall mood was much better. I had made a lifestyle change that made me feel better both mentally and physically. The primary reason why I blog is that I want to inspire and help others to lead a healthy lifestyle so they can start to put more importance on what they can do and how great they feel when they lead a healthy lifestyle instead of concentrating on what they see in the mirror. If we start loving and appreciating our strong, capable bodies, just think of what we can accomplish. Has fitness helped you change your opinions about your body? What do you do to stop putting so much importance on what you see in the mirror? For more fitness motivation and running and yoga tips, sign up for my free newsletter! Love this Beth, and you are definitely that. I think we always will have those little comparison voices in our heads…..well, I definitely do when I stand next to the kenyan athletes on the start line, but it is great that running gives us the confidence to see how incredible our bodies are, rather than punishing them for what they are not. Great post 🙂 Keep up the good work! Oh yes! I love this. I love that my body is so strong and capable of doing things that so many others can’t do. Running has definitely made me love and accept my body. And at 51, I’m in the best shape of my life. That’s fantastic! I’m definitely in better shape than I was when I was younger, too. It’s amazing what a good fitness routine can do! I really love this post. Will be sharing it on my facebook page. Thank you so much for this. I needed to see it. Thanks for commenting and sharing the post! Glad you enjoyed it! This post really resonates with me. Its so true, the minute I got into running was the minute i stopped putting my body down. I am now so happy that i can run and that when i run fast or improve my time/pace that its my body showing me how strong it really is! I’m so glad to hear that running has done great things for how you view yourself, too. Keep going strong! It makes me sad that people do such much comparison to other people’s bodies and focus on their own “flaws.” For whatever reason, that’s never been something I’ve done or dwelled on. It’s good though, that people are talking about it and trying to stop it! 🙂 If it’s something a person is susceptible to, our society (and social media) make it kind of hard not to think about. Being active has definitely made me more in tune with my body and I feel proud of what I can do, too! I think the media has a lot to do with it…you see tabloids all the time pointing out cellulite or whatever perceived flaws that they can find on celebrities. I think there’s a movement to turn that all around and I hope it keeps gaining momentum! Beautiful post! 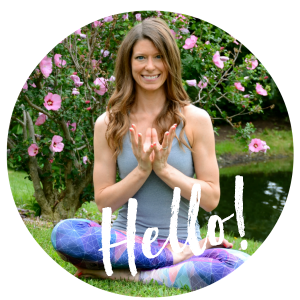 I think in the blog world…especially as healthy living/running bloggers…it’s VERY easy to get caught up in the comparison trap. I try not to do that and try not to let anything or anyone steal my joy. Running has truly changed my lifestyle, not only physically but mentally as well. It has made me a better daughter, friend, person overall. Being able to take care of myself so I can be there for others is very important to me. Thanks! I’m glad running and yoga have allowed you to stop focusing on appearance, too. It’s such a huge weight to have lifted off your shoulders! Running has absolutely changed my relationship to my body. I used to feel a real disconnect between my mind and my body, as if my body were something I had, something I used to get around, but basically just existed to house my brain. Now I feel like my body *is* me. I feel more “in” my body, if that makes sense! That’s a really good point! That mind-body connection is so key and being mindful of what your body needs generally means you take care of yourself better overall (more exercise, healthier eating, better sleep, etc.). I used to hate my big legs and now running has made them my favorite body part. Awesome, I love it! You have some strong legs that have carried you through some fantastic races! Thanks, Lynda! I tend to compare what my body can do with other bloggers, runners, etc., too, and I constantly remind myself to be okay with where I’m at. It’s definitely a struggle!